For the past two years, we've been fortunate enough to participate in an art themed playgroup. It started when my friend thought that toddler art classes seemed ridiculously overpriced and if she got a few kids together, she could replicate the experience without spending much. She could try a craft that she saw on Pinterest with multiple kids. If one or two kids didn't participate, no big deal. And after fifteen minutes or so, the kids could play together while we got to socialize. The girls loved it, and so did I. Unfortunately, it didn't work for us this year. We thought we'd found a day that worked, but it turned out that most of the group needed to start too late in the afternoon for us to get through traffic and Madison dressed and ready for dance. We'd be there for under an hour before sitting in the beginning of rush hour traffic, and my rule is that if you have to spend more time in the car than you will at the event, it's probably not worth it. I didn't want to sit in the car stressing before rushing Madison into an intensive dance class. It was the right decision for our schedule, but we all really miss it. 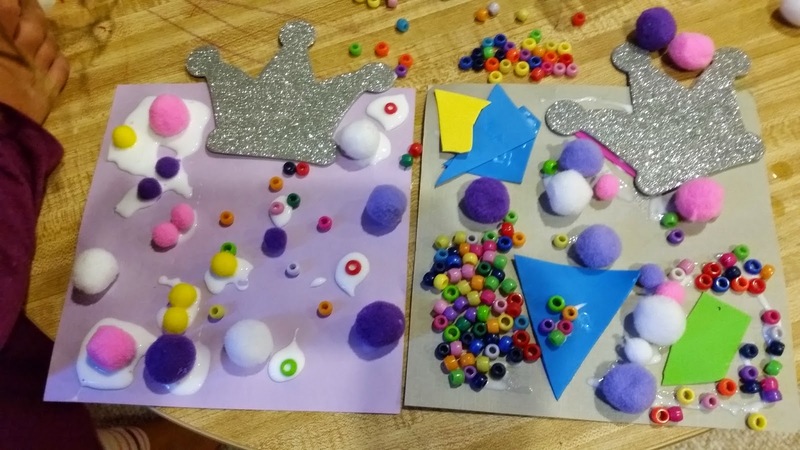 The girls miss the projects and getting to see their friends, and I miss the mom conversation and the fact that I could get the girls involved in art with other kids. Maybe as the year goes on we'll be able to work it out, but for now, I need to figure out how to fill that loss. Then I got another chance from Amazon Studios to check out another new original series for kids. Creative Galaxy, produced by Out of the Blue Enterprises with Angela Santomero (Blue’s Clues, Super Why!) 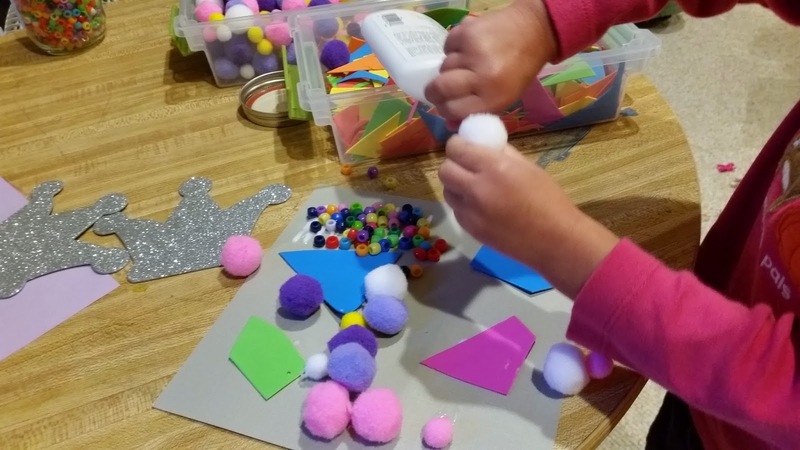 serving as Creator and Executive Producer, is a make-along, create-along, interactive art adventure series for preschoolers. Characters Arty and Epiphany travel around the galaxy to solve problems with art, inspiring creative thinking through crafts, music and dance. To give kids and parents the real-life tools they need to re-create Arty’s experience, a live-action piece at the end of each animated episode will take viewers through the craft project that Arty showcased in the galaxy. 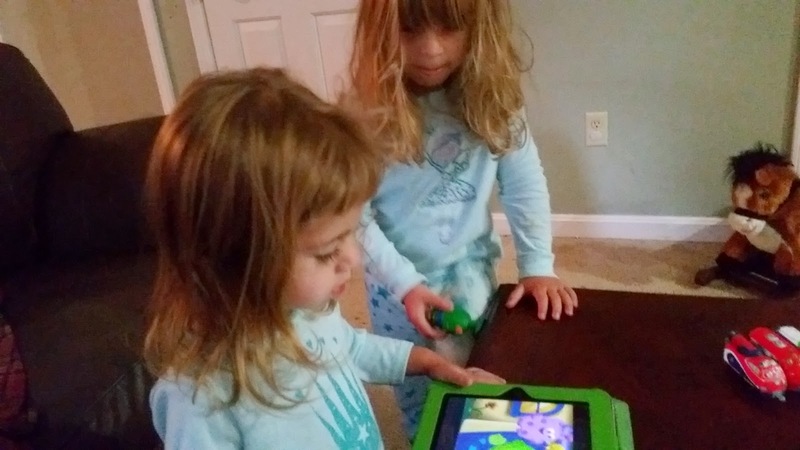 It reminds us a lot of Daniel Tiger - you see a character you can relate to in a story, and then some images of real kids in the same situation. 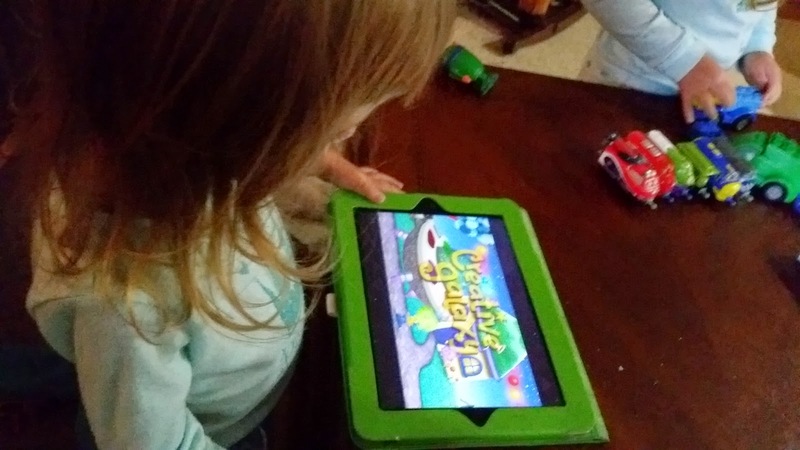 Thanks to the Amazon Video app, the girls are experienced in watching shows on the iPad, and they were immediately taken by Creative Galaxy. By the second episode they were drawing Arty's rocketship right along with him and brainstorming ideas for projects. 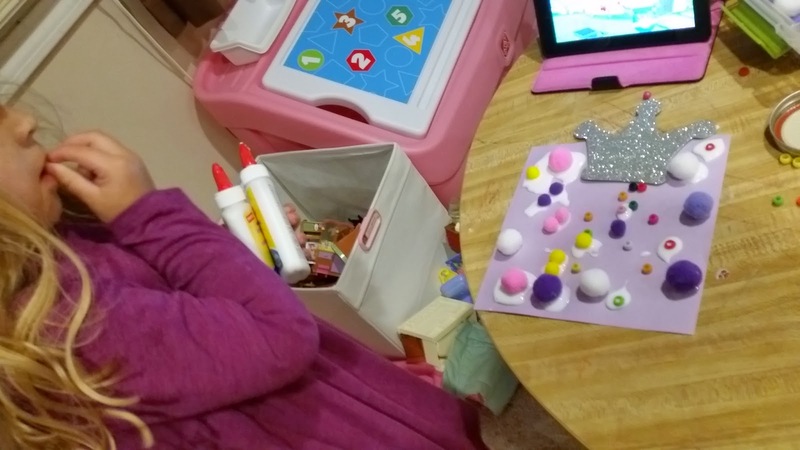 They loved the idea of creating "art they can wear" as they watched Arty help his friend make a necklace, making gifts for family and friends while they watched Arty make a mosiac for Mom's birthday and create a snuggly friend for Arty's little sister. Arty's magical sidekick Epiphany is a funny little creature who bridges the magical "out of this world" setting. Both girls were hooked instantly and this show was added to their Amazon playlist. One of the great things this show did was inspire the girls - and their mom - to make time for art projects at home now that we don't have a weekly group anymore. After watching Arty make a mosiac, the girls were eager to try themselves. We pulled some materials out and I let them experiment. Reagan was much more abstract in her two year old way. Madison wanted a princess focus - a crown on top with "jewels" underneath. Finished products! Thanks for the inspiration Arty!